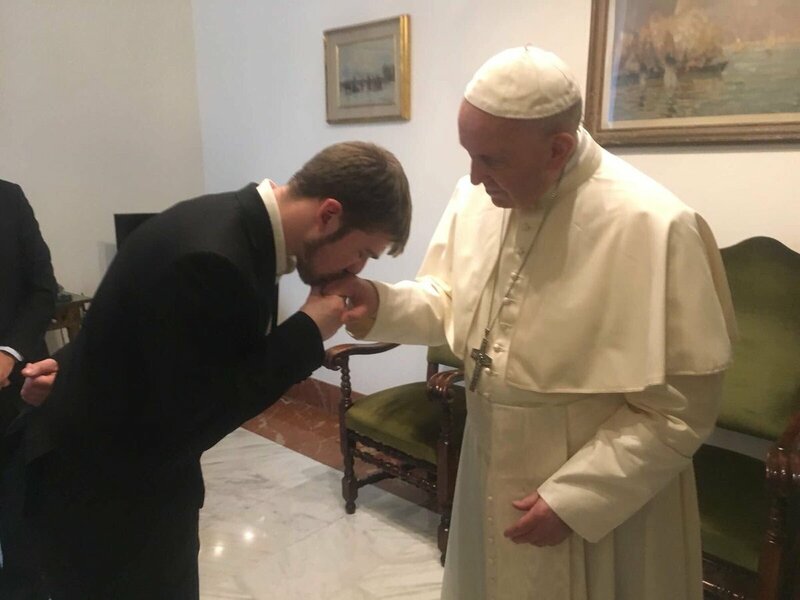 Pope Francis has made a strong appeal to protect the life of Alfie Evans, stressing the only master of life is God. At the end of today’s General Audience, the Pope again voiced his appeal to defend the life of Alfie Evans and Vincent Lambert, both with illnesses needing strict medical care. Pope Francis met with Tom Evans, Alfie’s father, in the Vatican this morning. ZENIT has an exclusive interview with Tom that will be published as soon as possible. In his remarks at the end of the audience, Francis also asked for silence and prayer for these two people. During his Sunday Regina Coeli, Pope Francis called for prayers for the two critically ill people at the center of “life issues” debates in England and France. “I entrust to your prayer persons such as Vincent Lambert in France, little Alfie Evans in England, and others in several countries who live, sometimes for a long time, in a state of grave illness, assisted medically for their primary needs,” the Holy Father said. To save Alfie Evans, the case pits parents against hospital in a legal battle over whether care should be continued. Regarding Vincent Lambert, the case involves a debate over whether a severely disabled patient should be allowed to die as a result of lack of food and water.